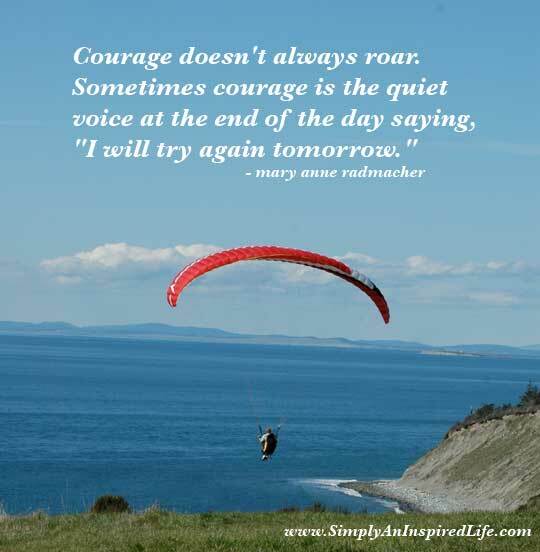 Welcome to these Courage Quotes and Sayings. Let these quotes about Courage and heroism inspire and motivate your life. and moral courage so rare. Fear of the unknown is our greatest fear. Love ... really is worth fighting for, being brave for, risking everything for. is that they trigger confusion in us that we don't feel brave enough or sane enough to deal with. Gold is tried by fire, brave men by adversity. See Quotes about Strength and Inspirational Quotes to Live By.